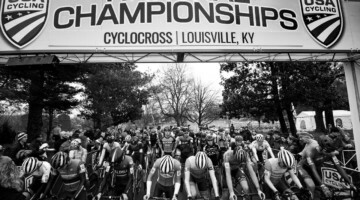 LOUISVILLE, KENTUCKY – Day two of the seeding heats has come and gone for the Masters World Championships. 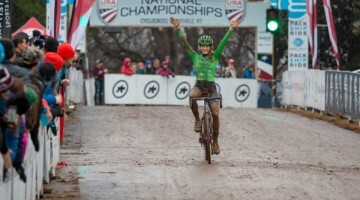 Today’s races unfolded in a close mirror of the US National Championships, with an American taking the lead positions in each category. 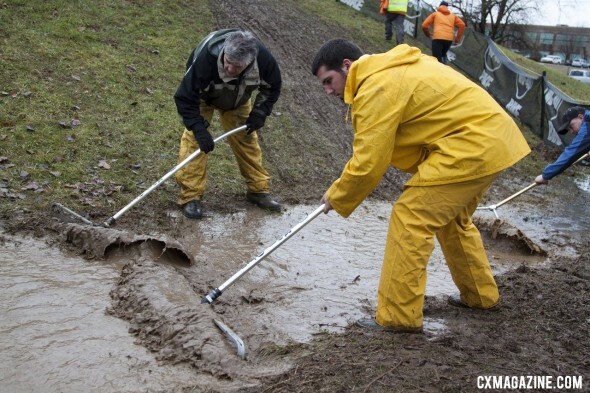 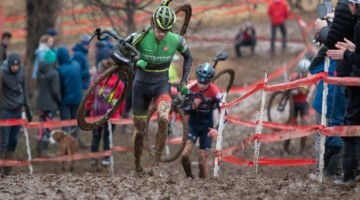 With tornado sirens blasting through Louisville in the pre-dawn, and deep rains soaking the course, races were delayed for two hours as park crews tirelessly squeezed the excess water that had pooled in a number of key transitions. 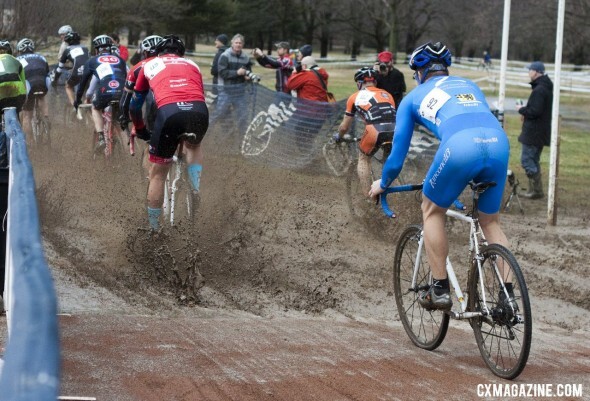 A few turns were cut out, as well, and by 10:30 the races were underway. 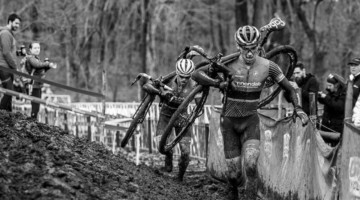 The early heats had riders navigating slick, soupy mud, while those later on had to deal with a thicker goop that stuck to the gears and gave a clear advantage to those with a strong enough engine to pound through the mud. 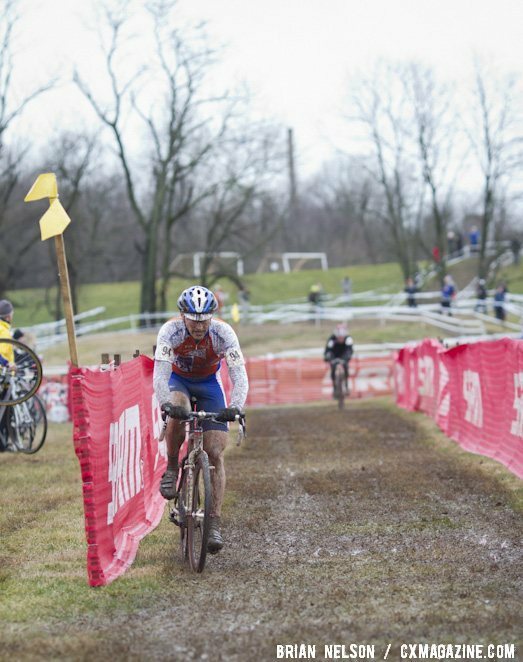 With more rains returning in the evening, and freezing conditions on the horizon, the course is sure to morph by the time these racers line up for their title races. See the full results from the 2013 Masters Cyclocross World Championships heats on Tuesady here on Cyclocross Magazine. 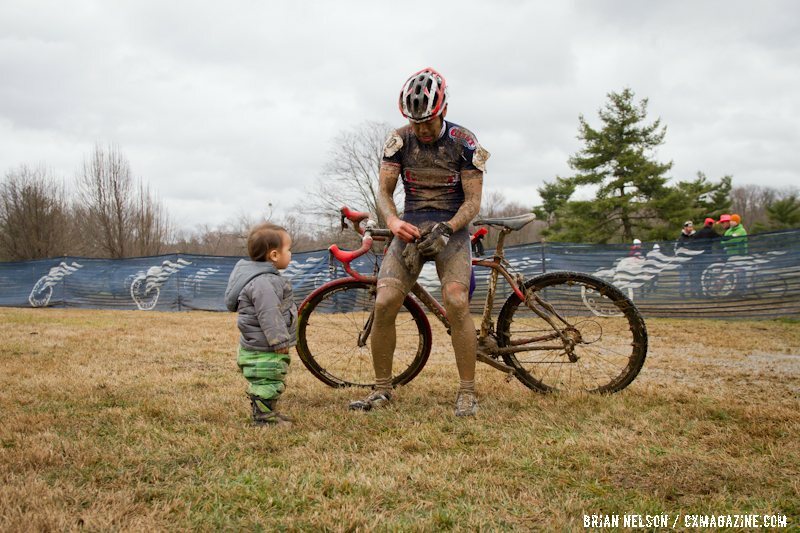 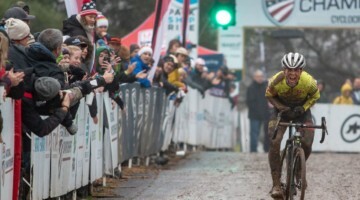 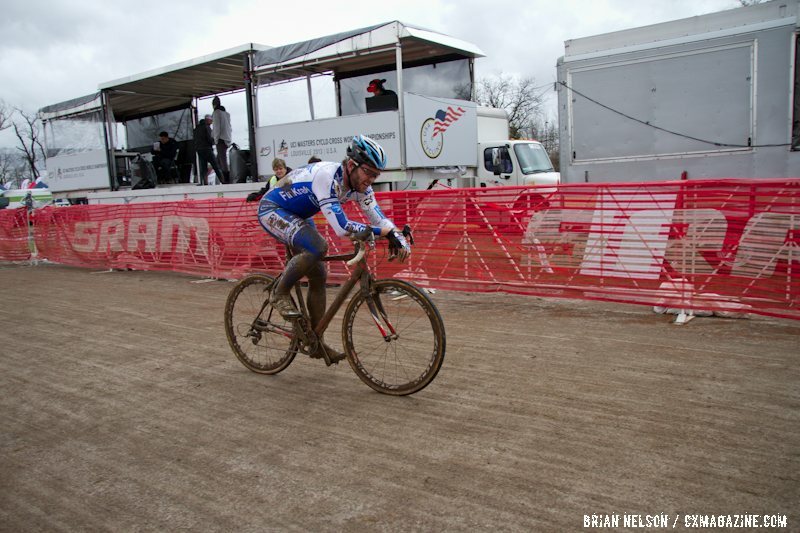 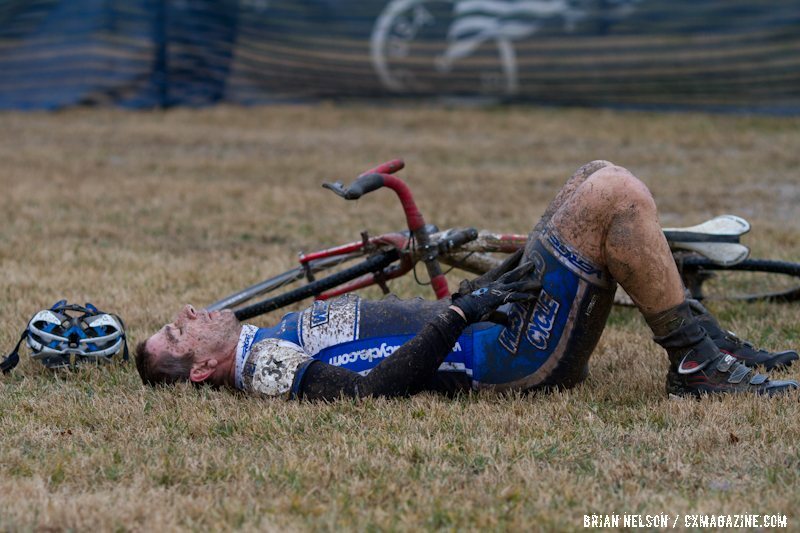 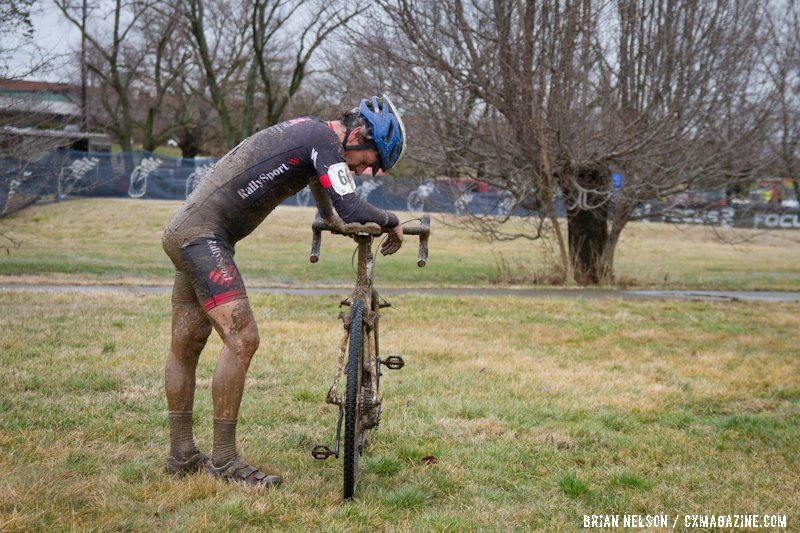 See the full results from the 2013 Masters Cyclocross World Championships on Cyclocross Magazine. 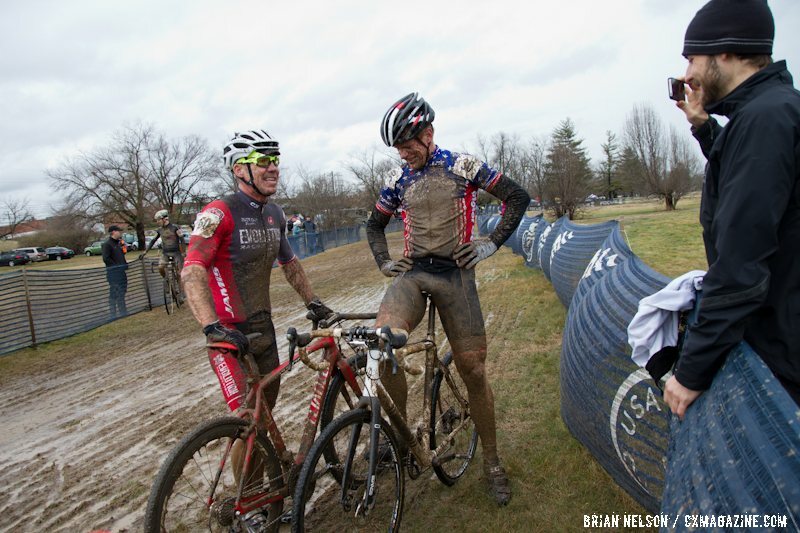 Colorado racers lovin’ the mud!